The Bodyaware Tangas I have tried weren’t quite up to my expectations. The ones with the 1/4″ string elastic waistband just aren’t heavy duty enough to keep them where I’d like them to stay for a full day. I even tried a size down, which I do often with the string bikinis for that reason. Since the waistband isn’t tight enough for me the 3/4 back doesn’t stay in place and not as supportive. The fabrics are nice and soft and feels good on the skin and it has a smooth pouch. If it would stay in place I’d probably really like these string bikinis. 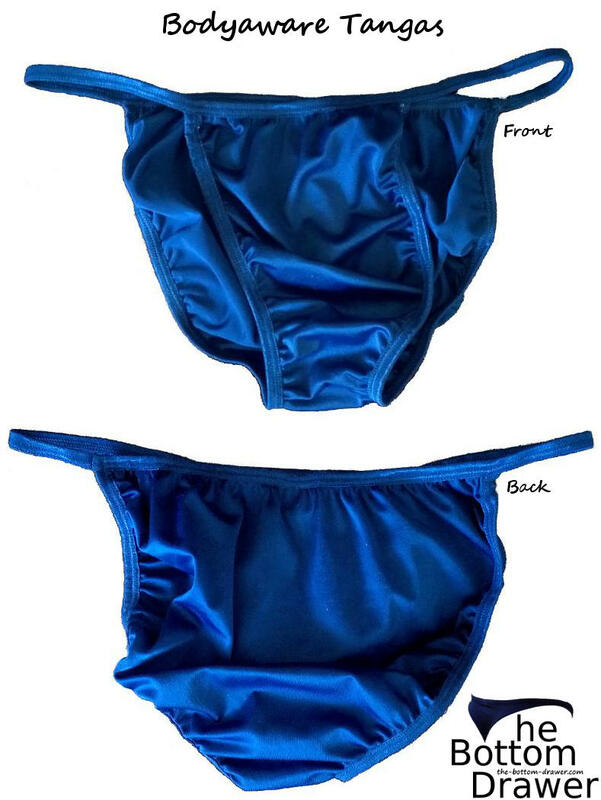 They use to carry a rio bikini about 10 years ago with a little heavier duty string waistband that I really liked and it stayed where it belonged, so I’ll keep a watch to see if they bring anything like it back. I do wear them now and then because they are comfortable, but not an everyday wear for me. These are the ones like I have. What do you rate the Tanga?